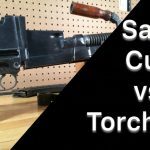 Blog POTD - Could You Have Named This Gun? 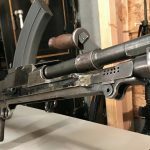 We had an interesting, and very rare, firearm come into the armory recently. A ZB-26. For those who are not familiar with the ZB, it’s the predecessor of the UK’s BREN Gun. Basically a slightly simplified and cheaper to manufacture version. ZB-26 / ZB26 Parts Kit on Display. So? It’s a ZB-26? Who cares? 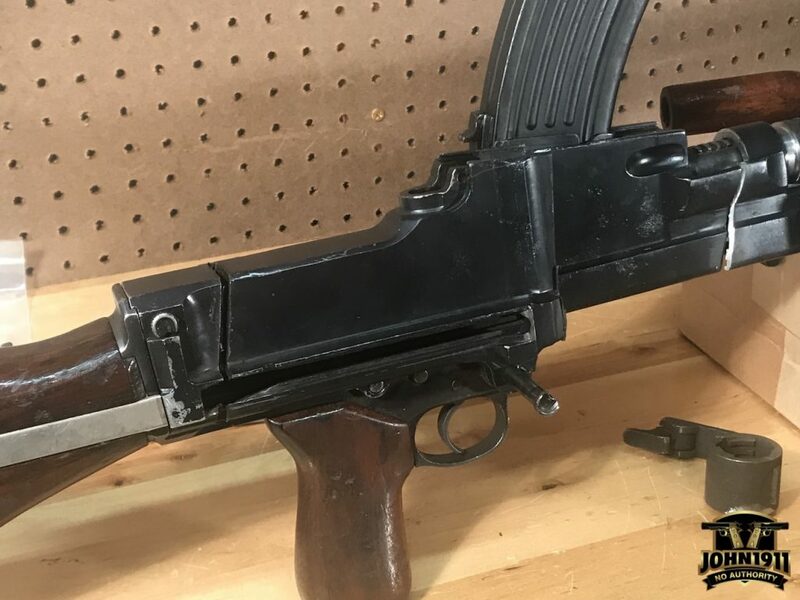 Well…what makes this one special is Chinese Federalist forces bought ZB’s in 8mm. 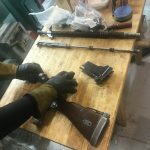 After they lost their civil war and retreated to the island of Formosa, formed the Republic of China (ROC), which is commonly called Taiwan; the communists were left with stockpiles of old weapons in calibers they didn’t standardize on. Closer view of the cuts. Lives a long life. The marks are faded from refinishing. 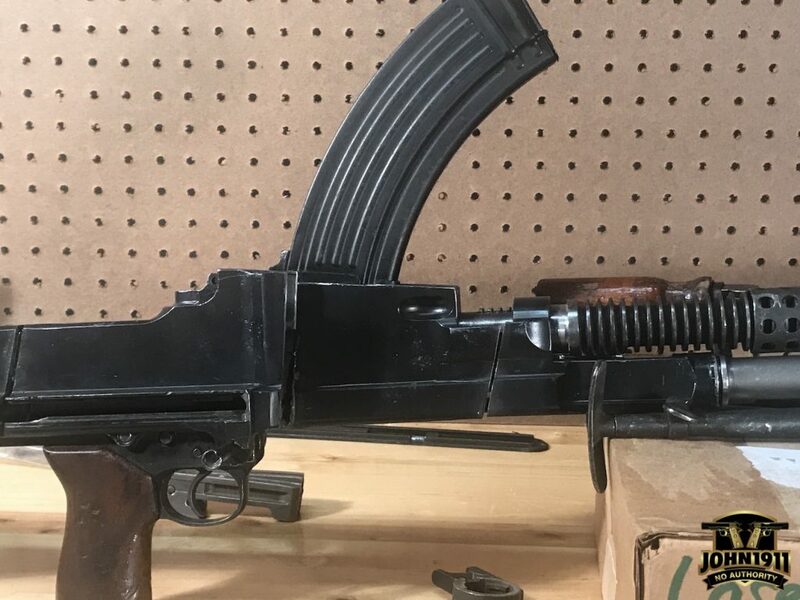 So…At the direction of the Chinese Communist Party (CCP), the People’s Liberation Army (PLA) converted these ZB-26’s to 7.62×39 and…wait for it…take Warsaw Pact standard AK Magazines! Disclaimer, I am describing this is broad strokes, not detailed facts. Feel free to research this and share with us what you find! But in the end, we are sitting on a ZB-26 that takes AK ammo and AK mags. Kind-of. What we really have here is a ZB-26 that was brought back to life as a post dealer, sample machine-gun. That dealer got out of the class III game and had to liquidate his samples. 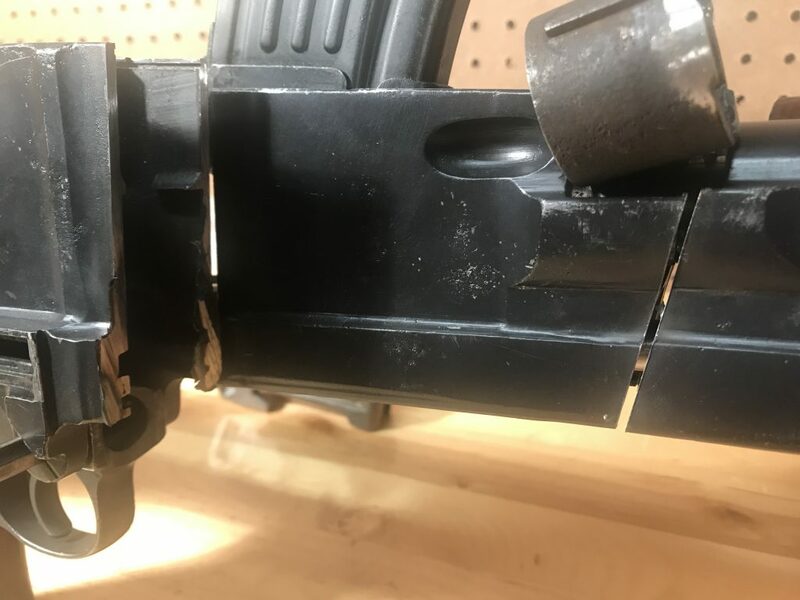 For some reason he chose to chop up this gun into a parts kit. His loss is our gain! The plan: We will reactivate it into a semi-automatic per BATFE regulations. But here’s the best part…it has a live barrel! ZB-26’s are hard to find. ZB-26’s with live barrels are exceedingly hard to find. 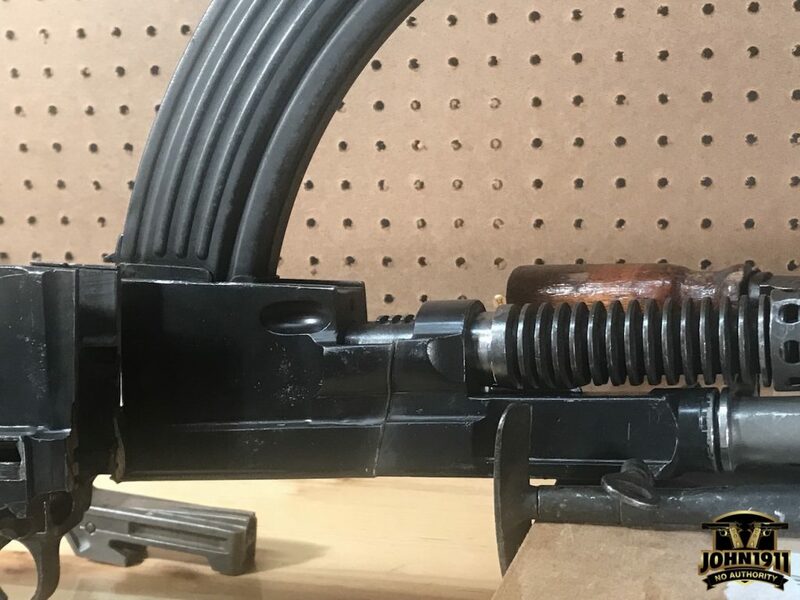 A ZB-26 that takes AK mags with a live 7.62×39 barrel? We are talking crazy unicorn horn rare! Now for the photo and the contest: How do you determine make, model and caliber from this one photo? Simple: The barrel profile is obviously a ZB-26. The heat-sink rings tell that sale. Once you know that, you know BRNO made the gun. But what about caliber? 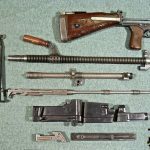 Most guesses 8×57 / 8mm Mauser. Some guessed 303. Others guessed 308. All of which are technically possible when you consider they are all full-power, battle rifle rounds. But think about it logically. A gun designed from he ground up to handle such a powerful round would NOT need a restricter. 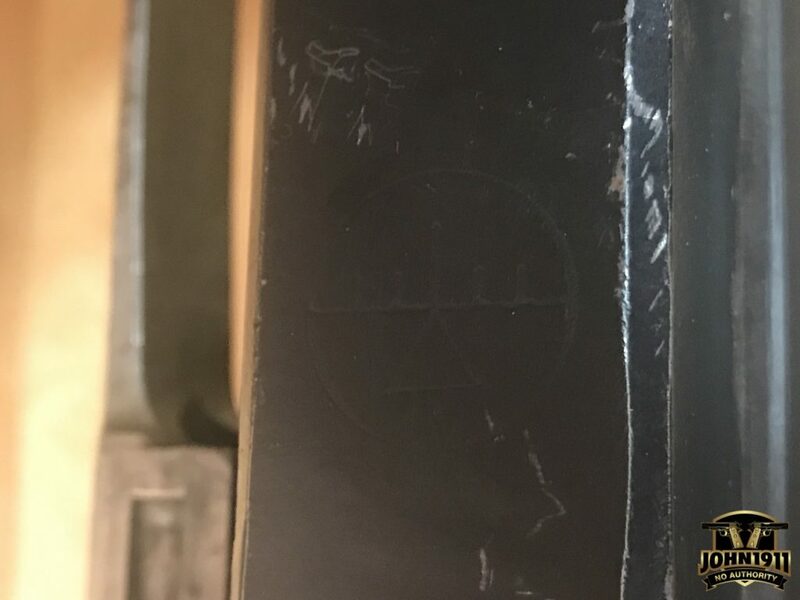 A closer view of how the AK mag looks in gun. 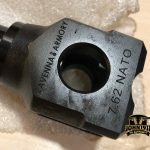 But the 7.62×39 AK round is what is commonly known as an intermediate cartridge. It doesn’t produce as much gas as the battle-rifle rounds. 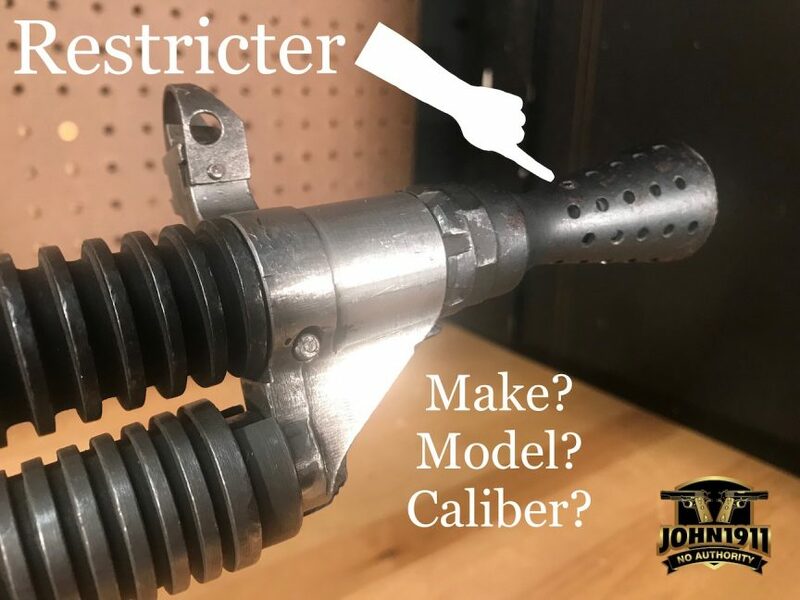 So…to ensure the actions cycle, a restricter is added to the inside of the muzzle device to increase the pressure inside the system, thus cycling the action. Special mention goes to Scott S. in California. He emerged the victor after the ID battle went on for over an hour, and 130 comments. His winnings? A John1911 coffee mug. This one really stumped some folks. But it was all in good fun.